Jesus said I am the bread of life, and the bread that I give…is my flesh. He was speaking of death that would happen. The bread He gives is His flesh that He willingly gave on the cross – the penalty and payment for our sins. 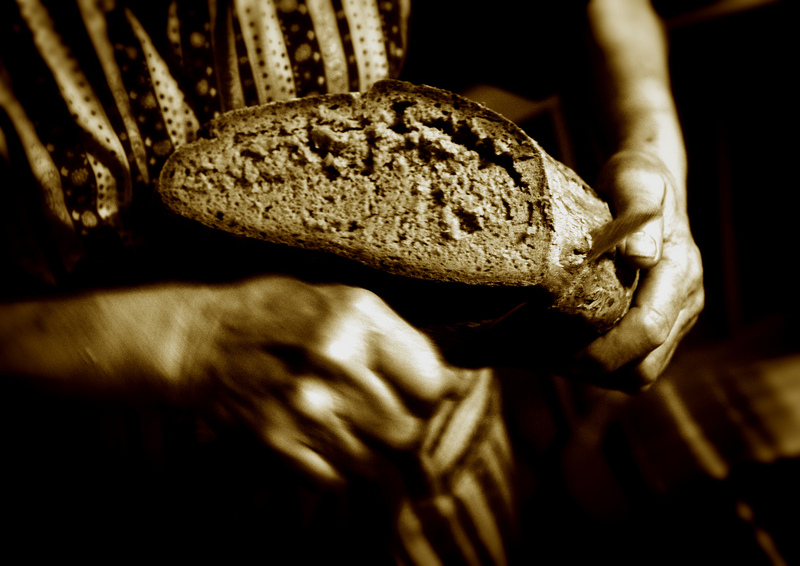 When we partake or join in with Him in His death (or eat of the bread as in Jesus’ analogy), we have everlasting life – one that we cannot earn, we just have to believe. When Jesus stated in John 5:24-25 that those who hear and believe will have everlasting life, that belief is more than intellectual. It is a belief that joins in with, becomes one with; it partakes. It is a belief that doesn’t just stay in the mind, but feeds the soul. As Paul said in Galatians, we have been crucified with Christ (partake, joined with) and this earthly life is lived in faith (believe+trust) in Jesus, who loved me so much that He gave His life for me. He died – sacrificed His flesh, gave the Bread of Life – for me. Having this everlasting life means is so much more than just not dying – more than just living forever, but it is also means having our earthly and spiritual needs met in Jesus. He said, figuratively, “whoever comes to me shall not hunger, and never thirst.” The bread of life satisfies our human needs and the voids in our lives as well as our spiritual needs, which includes a glorious everlasting life with God in His Kingdom. All that is required of us is to believe – not just with our minds and with no effect on our lives, but a deep belief that comes from the heart, the core of who we are and transcends to every element and every facet of our lives. The Bread of Life is an offer of New Life – for Christ died the death for us so that we may have new life in Him. This entry was posted in Bible Study and tagged believe, bread of life, everlasting, jesus, john, life, live by faith, new life. Sometimes belief isn’t easy. Trusting in, relying on someone is a difficult thing to do. Jesus told his disciples, “This is the work of God, that you believe in Him whom He has sent.” He even told us (all) that it would be work for us to believe. When I realized this, I wasn’t so hard on myself for struggling with my unbelief (or lack of trust) in my God and His plan for me.